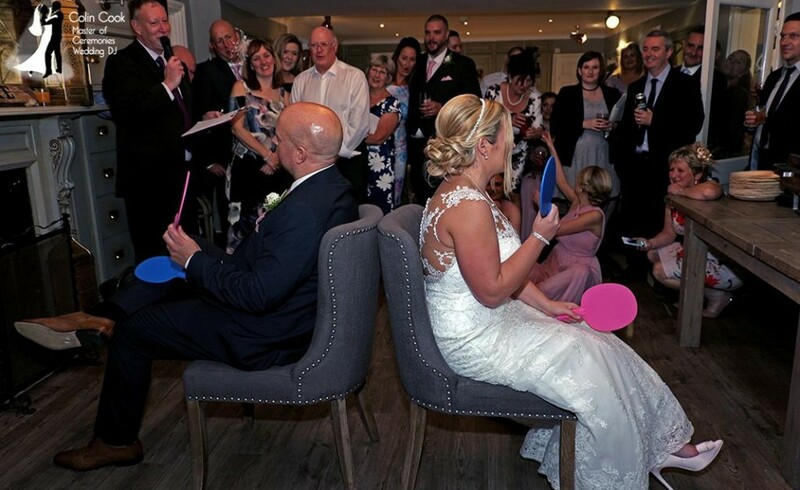 The evening Reception is generally the longest part of your Wedding Day, often with the most amount of guests and provides the majority of memories for guests to take away. Your choice of DJ will impact on the atmosphere, style and flow of the evening, not to mention the music. Surprisingly many couples allocate the smallest part of their budget to this largest part of their Wedding Day. In fact, most couples will spend more on a bacon sandwich per guest for their evening buffet than for their entire evening’s entertainment!! According to Bride Magazine some 78% of Brides following their wedding wish they had spent more on their entertainment. Choosing the right Wedding DJ can be difficult. Many venues have ‘resident’ DJs who are often multi-operator companies who will send whichever DJ is available on the night. Some Resident DJs of course are excellent, but most are not. They rely on volume work from the venue and of course, they work for the venue – not for you! Other venues have a list of recommended DJs which can be a good start. It certainly helps for a DJ to know a venue and the way it operates, though it is by no means essential. It is important to establish whether the venue recommendations are given freely or because of a financial arrangement with the suppliers. Paying for recommendations obviously totally defeats the value of those recommendations. I never ever pay to be associated with a venue and you can be assured that any venue which recommends me does so freely and wholeheartedly! The DJ you choose will be responsible for keeping your guests informed as to what is happening and when, will represent you to your guests, announce your First Dance and help the timeline of the evening flow well. 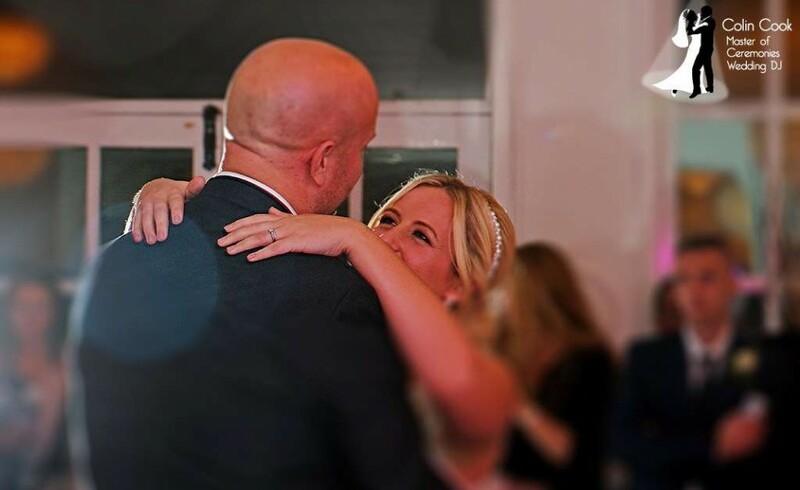 If you also have a band then the DJ will liaise with them with regards to playlists, will ensure continuity of music for the majority of the night when the band are not playing and of course will work with the venue management and staff to keep everything running smoothly. Choosing the right DJ can also open the door to many other fabulous touches and effects to make your Wedding Day a completely unique and beautiful occasion, whether it is uplighting, interactive guest slideshow, backdrops, dancefloors, additional equipment, background music for your Wedding Breakfast or Drinks Reception, personalised music for your Wedding Ceremony and even acting as your Master of Ceremonies throughout. 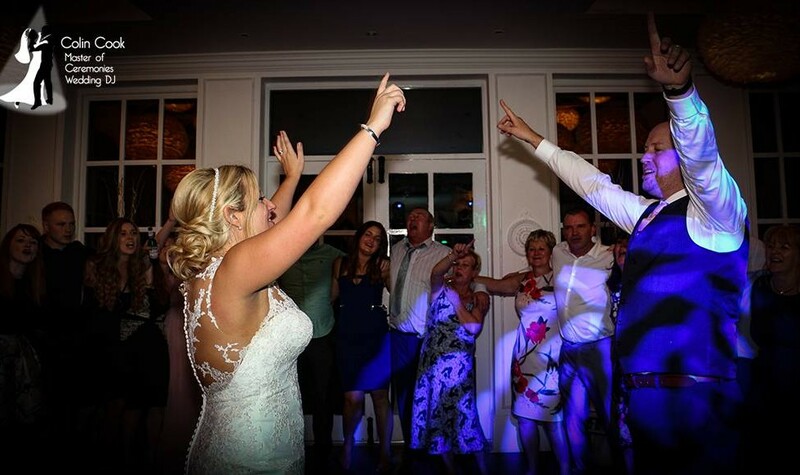 In addition a good Wedding DJ can create amazing ‘Spotlight Moments’ which will give you and your guests memories to last for a long time to come. When looking for a Wedding DJ you should ensure that you are comparing like with like – that your shortlist is of suppliers offering similar levels of service. I’d strongly suggest having a chat first or even meeting up. Can you visualise this person representing you to your guests? Does he/she have a clear speaking voice and good communicaiton skills? Are they willing to meet with you closer to the time? Will they allow you to provide input to the choice of music, the style and atmosphere of the evening? What arrangements are in place in the event of an emergency or vehicle breakdown or equipment fault? Do they provide a range of additional services to match your needs? Another thing to bear in mind is that these days it is very easy for someone to buy some equipment and set up as a DJ. Equipment is cheap, illegal downloads are easy to access and smart looking websites are cheap to buy! When looking at websites try to see photos of the DJ’s actual equipment. When considering other services (especially uplighting) again try to ensure that the photos shown are actually of that DJ’s work and not just ‘borrowed’ from another DJ or supplier. Compare the style and atmosphere of those photos to the ones of his equipment to ensure they match. Dont be afraid to ask questions. Where was that photo taken? How do you decide on where to set up? Do what you can to ensure the DJ is genuinely the person you think he is. Make sure there is a written Agreement between you with all of the function details on. Check they have Public Liability Insurance and that equipment is Safety Tested (PAT) – most venues will insist on this. And then, once you have chosen the right DJ – relax! Choosing the right suppliers is the main key to reducing your stress both on the lead up to your Special Day and on the Day itself!